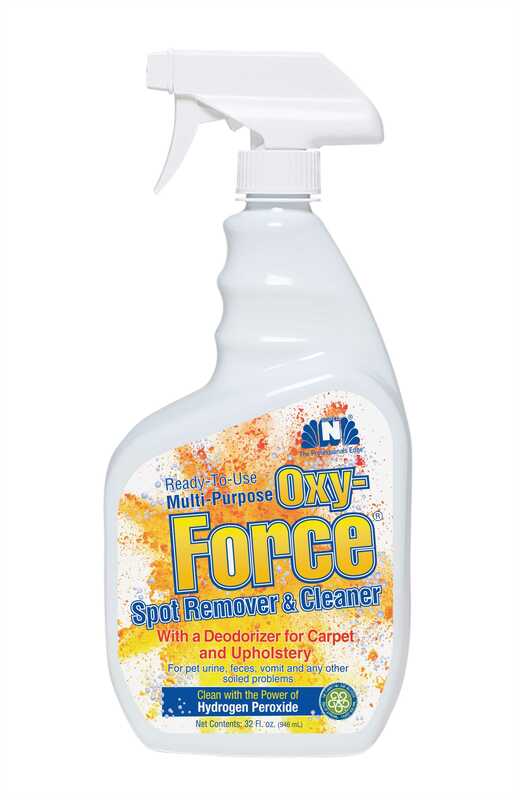 Oxy-Force Ready-To-Use is powered by stabilized Hydrogen Peroxide to safely remove spots and stains, leaving no chemical residue behind...just a soft clean carpet. Spray the problem area with Oxy-Force RTU and within seconds, protein-based stains and odors will be safely oxidized and eliminated. Good for all water safe materials. This product is approved by the Carpet and Rug Institute (CRI). Applications: Eliminates spots & stains caused by wine/beer, pet accidents, coffee/tea, juices, dirt/soil, food spills, etc. used oxyforce to remove dog urine from low pile carpet. Next after spot was dry, there was no stain or odor.